Welcome to the 2019 Snowcamping Training Series! As we like to say, there is no camping like snowcamping! 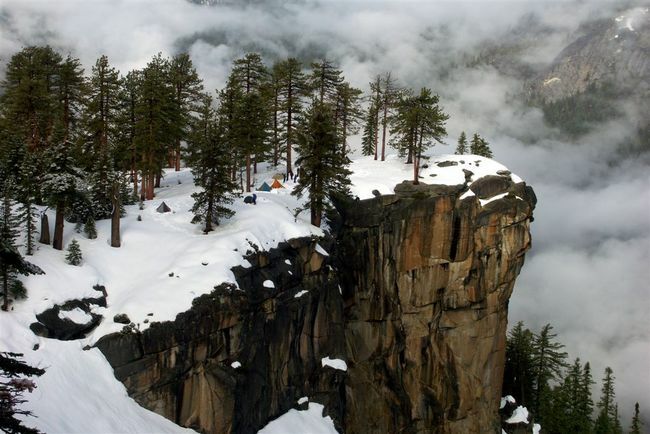 Camping the outdoors in winter is a unique and enjoyable experience, and presents a new set of opportunities and challenges for outdoor enthusiasts. The Sierra Club Snowcamping Training Series provides provide experienced backpackers, cross country skiers, snowshoers, and backcountry snowboarders with the information, training, and support needed to ensure safe and enjoyable winter adventures! If you are interested in the training series, you can check out the training series introduction to get an overview of what you will learn in the training series, as well see the sign-up deadlines and the schedule of snowcamping presentations that the snowcamping group will be making at REI and other local outdoor gear shops. You may also be interested in checking out photos of some or our past trips. A detailed description of the training series is available on the training details page. You can check the dates for the different groups, and sign up for groups with openings, on the training application page.